Welcome to the blog Family Strong Matters! 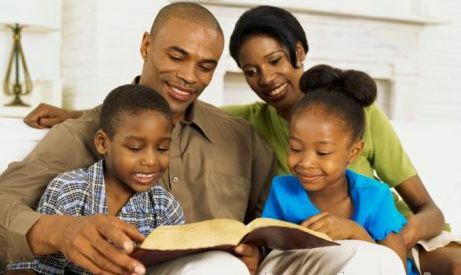 Family Strong Matters (FSM) is about equipping parents to lead in daily family worship: Bible reading; singing; and praying. Weekly blog posts and valuable resources aim at assisting parents spiritually to lead their families in godliness. FSM serves parents who are at various places on their journey in the Christian life. It serves parents who may doubt the importance of family worship, or who are in need of encouragement in the ‘how to’ of leading family worship, or who desire to improve their skills in family worship. FSM seeks to guide parents in the advantages of family worship and then to encourage them to take action with their families in daily family worship. 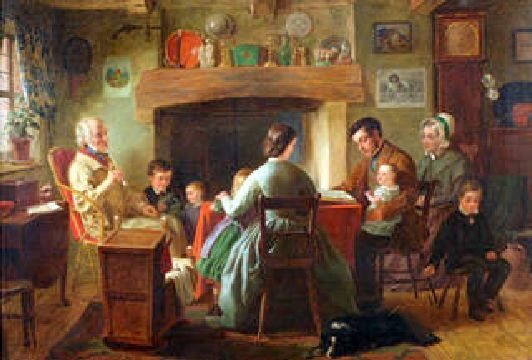 The principles of family worship has a great history going back to ancient days (e.g. Abraham guiding his family in righteousness). This history of family worship (alongside worship with the church) is observed throughout church history as important in leading families in piety and growing hearts that are kingdom-minded. Dr. Donald Whitney (see below) presents a brief view of family worship. He shows the simplicity of family worship as it is equally profound. It’s simplicity is this: Read, pray, and sing. Read the Bible with the family (or, depending on the age of children, a Bible story book: The Jesus Storybook Bible by Sally Lloyd-Jones and The Child’s Story Bible by Catherine F. Vos). Pray. Dr. Whitney has great insight here on keeping the prayers fresh each night. He recommends everyone praying in terms of something related to the reading. How is God teaching to us in the Word? Pray and ask Him to make us more like Him in terms of that teaching. And sing. Prayer is an appropriate and commanded response of God’s people. Singing is no less. Make a joyful noise! as we all know from the Psalms. That’s the simplicity of family worship. But how is it profound? The profound thing about family worship is that as leaders in our family we bring our family before the very Word of the King. We come boldly to His Throne of grace. And we make a joyful shout with the heavenly host. This is the simplicity and “wow” of family worship: read the Bible, pray, and sing! Enjoy the wisdom of Dr. Whitney in his book Family Worship. His website can be found here and his book on family worship here.